Successful schools align the space with teaching and learning – in other words, space supports and motivates new dynamics in the way that teachers and pupils work together. I am working on the itinerary for a study tour we are hosting in October this year, to take a group of educational leaders to places that have influenced our work at SCIL and learning at Northern Beaches Christian School. We will go to Europe and the UK, visiting award-winning museums and libraries, places where people choose to go to learn, that provide personalised and hands-on learning opportunities and are a place for community connection and fun. We will also visit schools that represent innovation in design and pedagogy. It has been interesting to read about the Kunskapsskolan model and I discovered that this approach to school and student learning is consistent with the NBCS/SCIL direction. 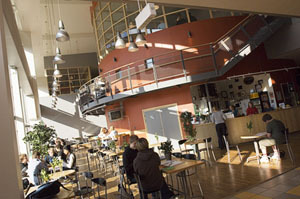 Kunskapsskolan was established in 1999 and means “Knowledge School”. In Sweden it operates 30 schools for students aged 12-18. The model is based on a personalised learning focused on a student-centred approach to teaching. 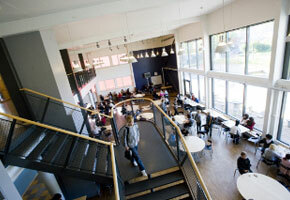 The Academies program in the UK facilitated the international expansion of the Kunskapsskolan model. There are three schools in the UK– Hampton Community College, Whitton School and Holywells High School. There are now plans for the model to be implemented in *New York. 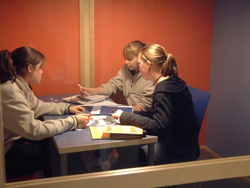 In a number of ways the Kunskapsskolan model operates along the lines of a primary school – one teacher may work with a student across a number of subject areas.